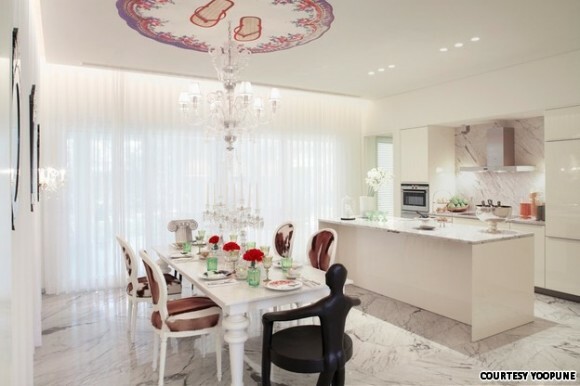 High end materials like white marble and stainless steel in the kitchen are paired with a twist of decorative flip flops on the ceiling medallion over chandelier. More terrific decorating ideas emerge. Philippe Starck‘s latest Yoo residence project is set to be developed in Pune, India. Located in the West, Pune is the eighth largest metropolis in India. There are yoo residences around the world, including Moscow, Miami, Boston, New York, Seoul, Sydney and Phuket. The yoo global design brand is inspired by Starck and is combined with luxury amenities for residents. If you aren’t lucky enough to live in one of Starck’s Yoo habitats, his work is always good for a multitude of interior design ideas. Yoo Pune will offer 228 designed residences in two styles, nature and classic, chosen by Starck to best suit Indian sensibilities. The Yoo Pune project will spread over 17 acres, almost a third of which is rainforest. 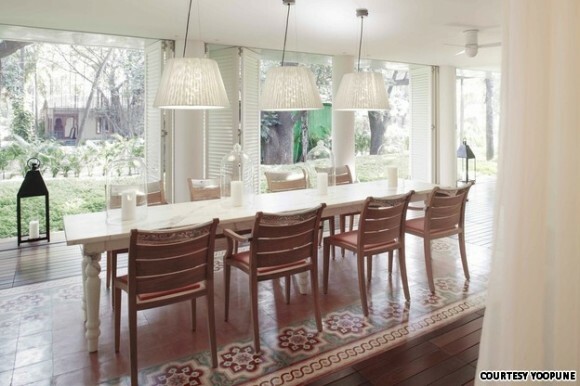 The London based Yoo design firm has partnered with the Panchshil Realty construction and realty firm for the project. Yoo Pune is slated to be completed in 2014. In addition to the residences, Yoo Pune will offer concierge services, the Six Senses Spa as well as top quality athletic facilities, restaurant and library among other amenities expected for this level of luxury living. Starck draws on his wide-ranging design talents to create luxurious living spaces that are unique, thrilling and inspirational. This post comes courtesy of Design Shuffle, which is a social media site for design professionals and enthusiasts with tons of excellent interior design ideas… check out the latest at Design Shuffle! An open living room grounded by a mural forms a backdrop for a mix of contemporary and traditional furnishings. 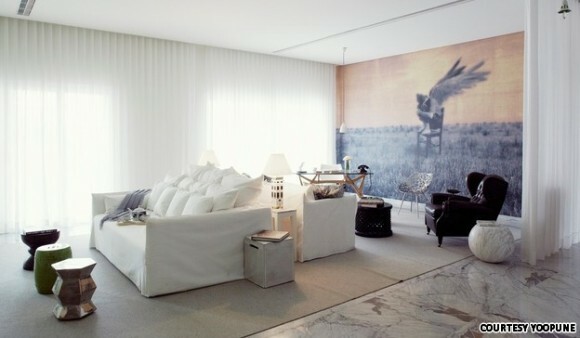 Soft drapery covers the windows and is used as a room divider. Detail of living room with eclectic furnishings. 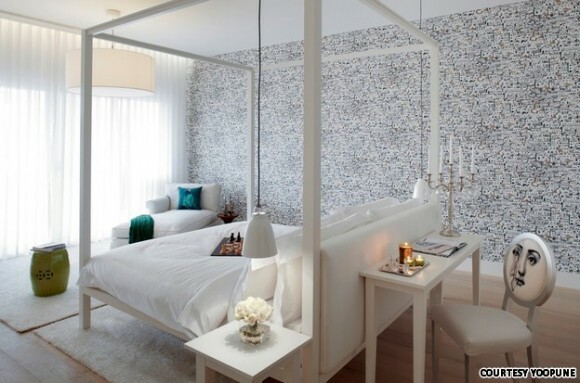 A master bedroom is a masterpiece in white with a floating furniture arrangement. 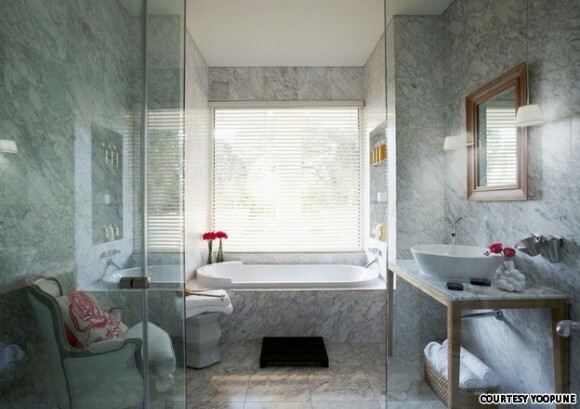 The master en suite, in gray veined white marble, is luxury defined. 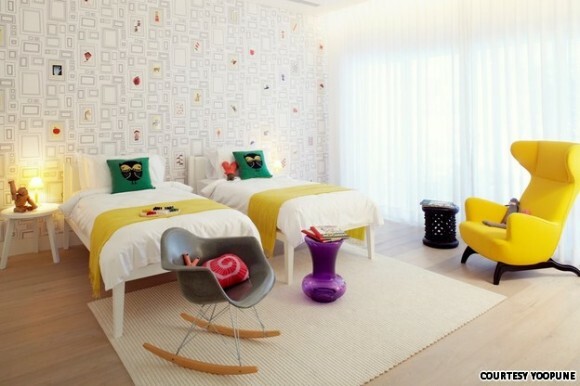 A cheery children’s room is decorated in white with pops of color and mid-century classic furniture pieces like the Eames rocker.